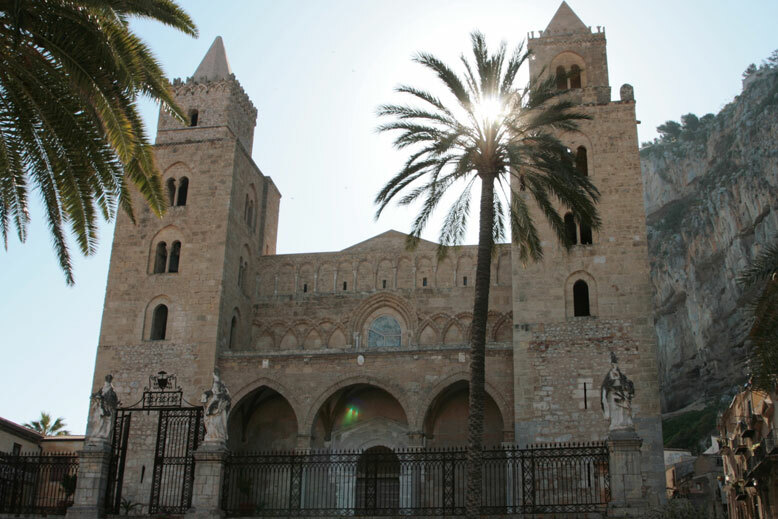 Entire day dedicated to the Arab-Norman heritage of Palermo and Monreale. 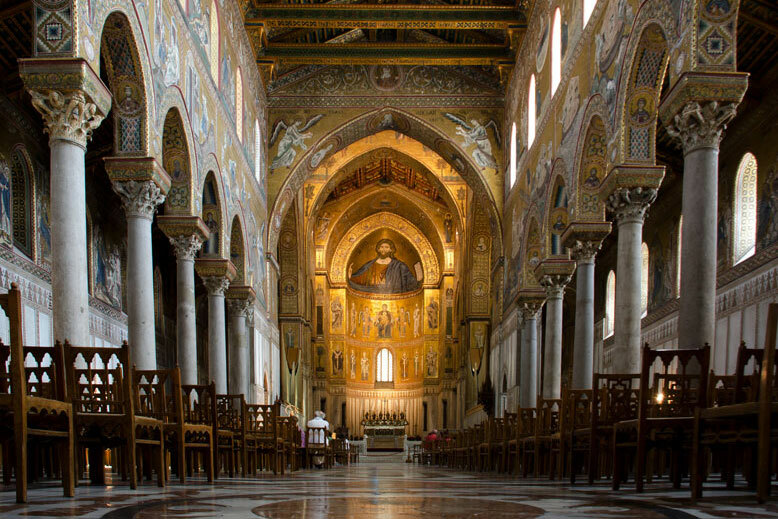 Admire the sparkling golden mosaics in Palermo at the Royal Palace with Palatine Chapel, then the Cathedral, the Churches of Martorana and St. Cataldo. In Monreale enjoy the majestic Duomo and its Cloister. Entire day in western Sicily. First stop is Segesta archaeological site with its Doric temple and ancient Theater overlooking the Gulf of Castellammare. Then the medieval town of Erice, perched on the top of Monte San Giuliano, with breathtaking views and charming atmosphere. 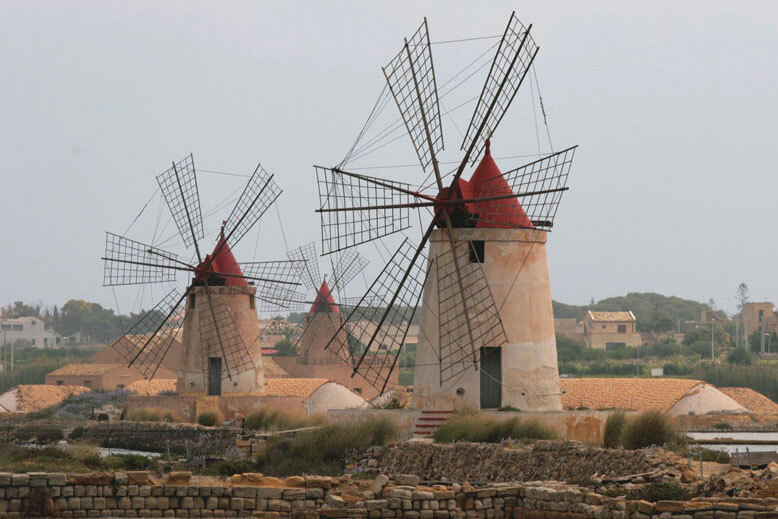 Finally stop at the Marsala saltpans to observe the traditional sea salt processing in the scenery of Stagnone Lagoon and its windmills. Entire day focused on the Madonie Mountains area. First stop will be Castelbuono to visit the imposing Castle and taste the local “Manna” sweets. Later, down to the Thyrrenian sea to enjoy the charming seaside resort of Cefalù and its medieval heritage including the great Cathedral. 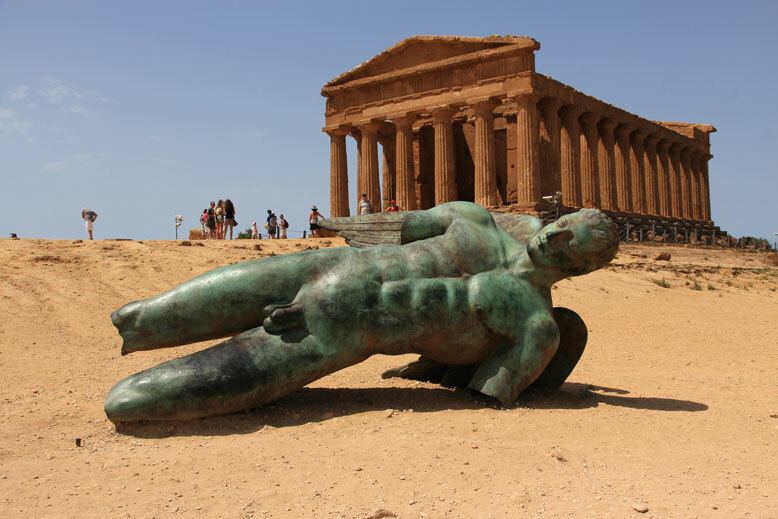 Nice drive through the vineyards and the olive gloves southwards to Agrigento and admire the immortal Valley of Temples: perfectly preserved Greek Temples overlooking the modern city and the valley flooded by almond trees. Ample time dedicated to the rich Archaeological Museum. A long but pleasant drive through Sicilian countryside. Etna is the highest active volcano in Europe and its fields are so fertile to provide many Sicilian excellences such as wine, pistachios, chestnuts, walnuts, honey. Reach 2.000 mts a.s.l. 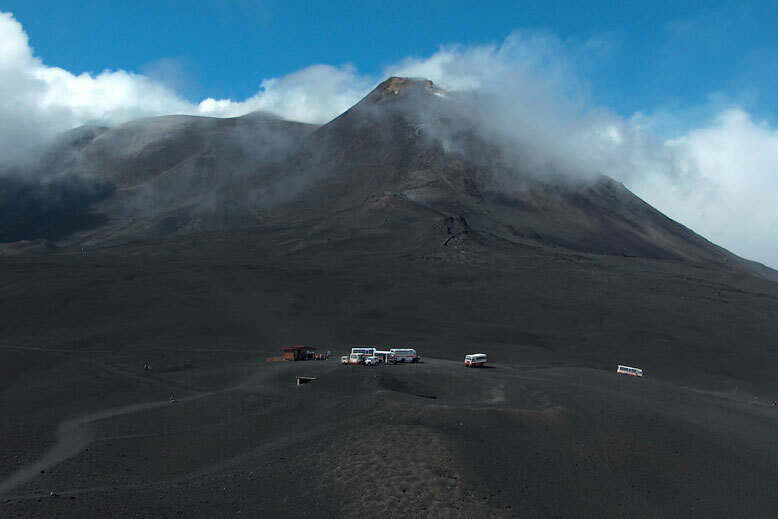 at Rifugio Sapienza and visit the Silvestri craters. Optional ascent to 3.000 mts by cablecar and jeeps. 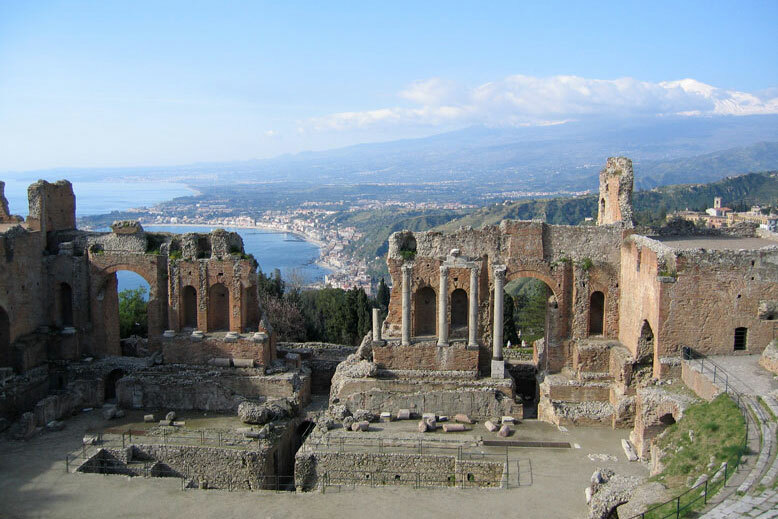 Panoramic drive along the Thyrrenian coast to reach the Sicilian capital of tourism, boasting incredible monuments like the ancient Theater but also great views over Etna, Naxos and the Strait of Messina. Ample time at leisure to stroll for shopping along the shops of Corso Umberto.